The apartments can be rented individually, but the entire Apartment complex is also available for short term bookings. Our Serviced city Centre Apartments offer various types of apartments and are available to individual guest on self-catering or serviced basis at our best accommodation rates. In addition, the whole St. Bridget’s Place Apartment building that hosts 4 Apartments can be rented by a group of friends or families travelling together or by tour operators who are organising small escorted tours for groups of up to 15 people. 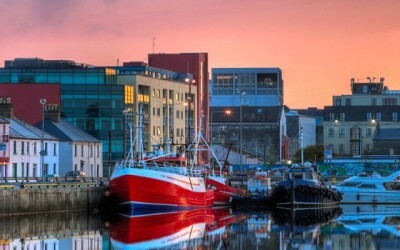 During four winter months, From November- end of February, Drom Ard Apartments and St. Bridget’s Place Apartments are rented at weekly or monthly rates and are an ideal base for tourists planning to stay in Galway longer or guests looking to relocate to Galway, in search of permanent accommodation or moving house. You can check availability as well as the daily rates using our calendar by Clicking here or contacting us directly on 091 5628314. The individual apartments or the entire house can be rented on a short term basis for one day trips, a weekend in Galway or longer periods. Galway St Bridget’s City Centre Apartments are located just at the back of The Western Hotel and so all our residents can avail of breakfast, lunches and dinners available at The Western Bar and Restaurant.